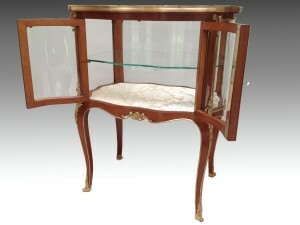 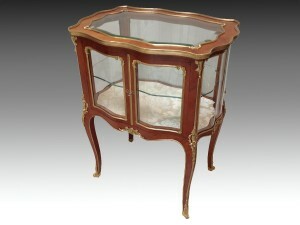 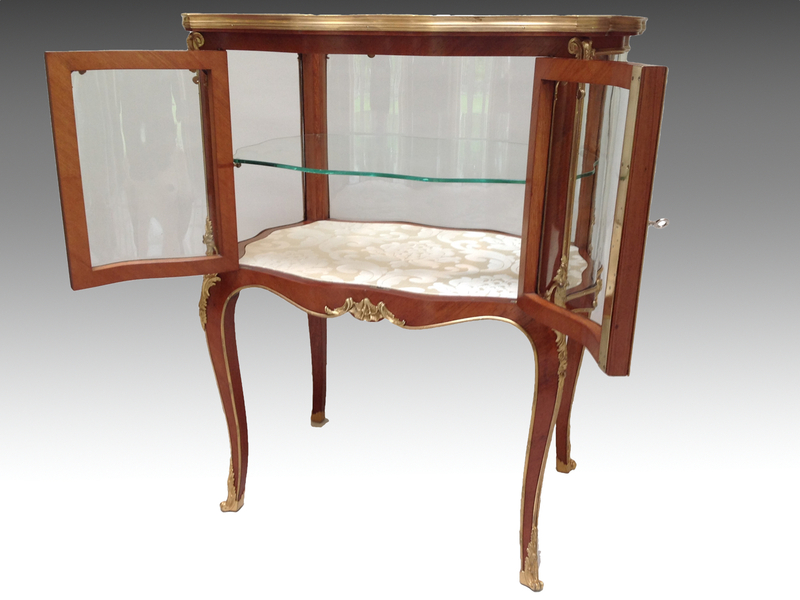 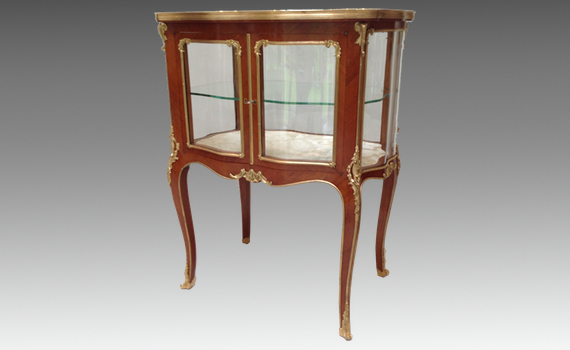 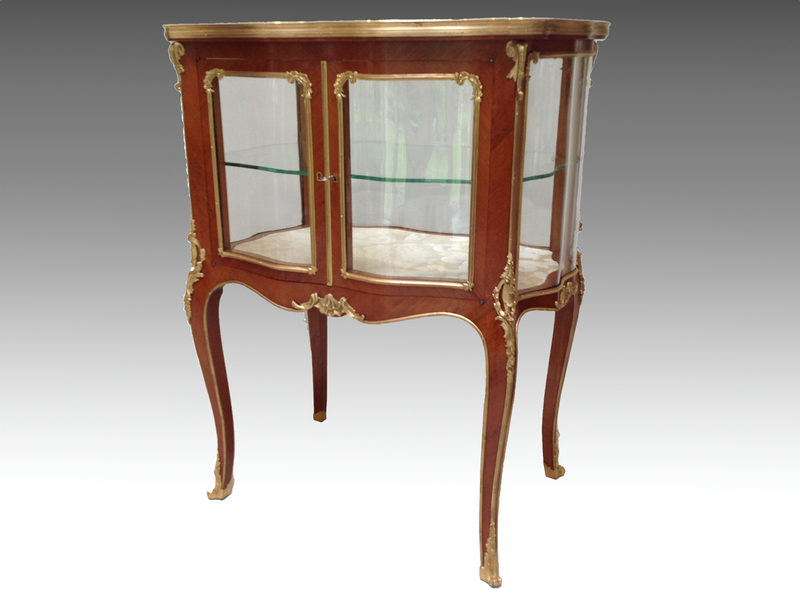 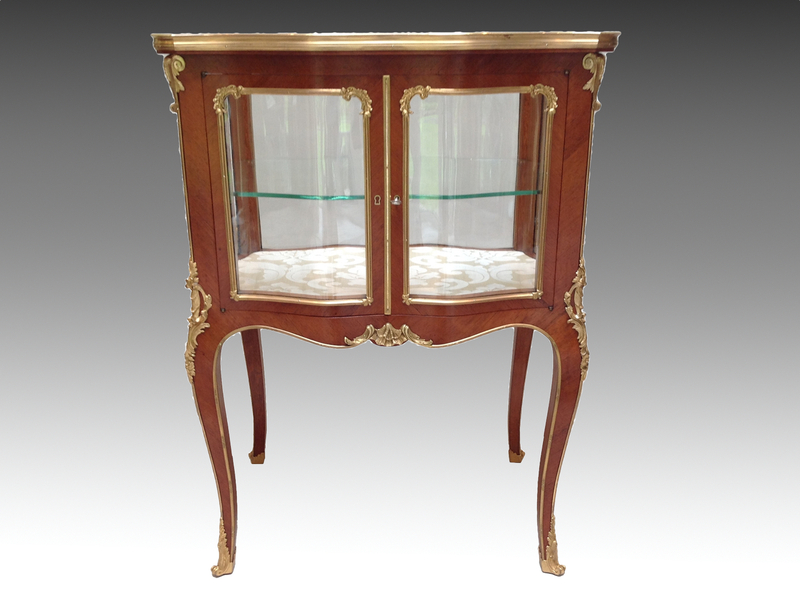 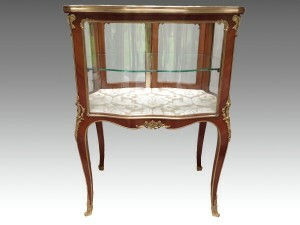 A late 19th century, French, Rosewood and gilt bronze mounted table vitrine. 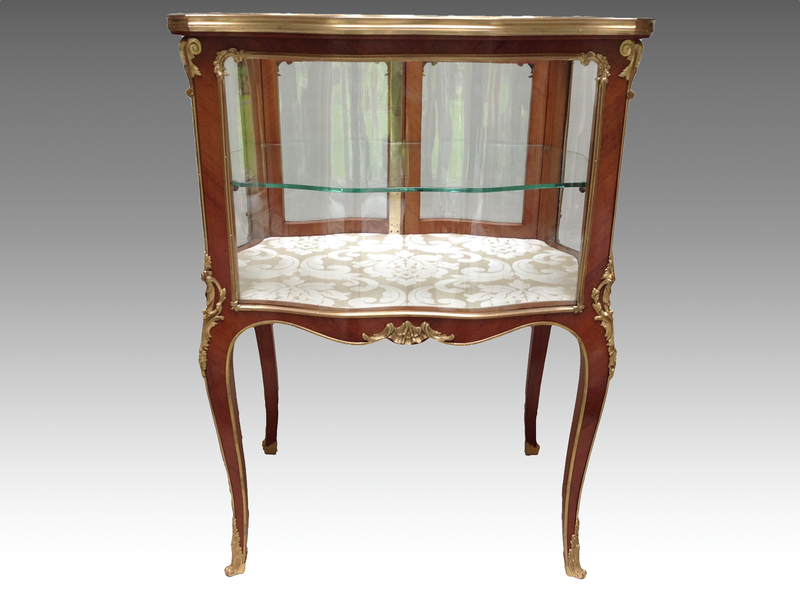 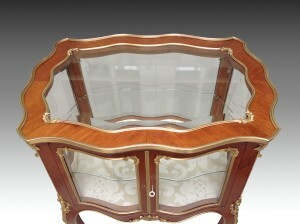 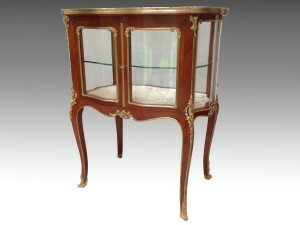 The serpentine shaped top with central bevelled glazed panel, above four serpentine glazed sides, the front opening with a pair of doors to a relined interior with single glass shelf, standing on four cabriole legs ending in gilt sabots. 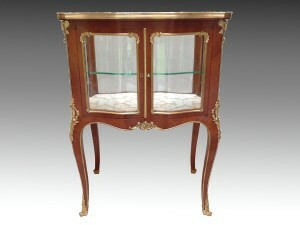 Original gilding to mounts.